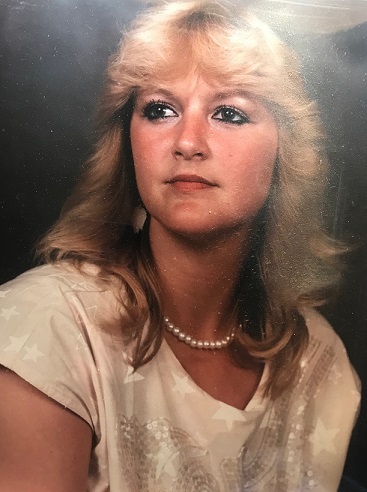 Brenda Fay Cameron, Archie, MO, 57, passed away March 28, 2019. Brenda was born July 20, 1962 in Kansas City, MO at General Hospital (Truman West) to Elbie Allen and Rosella Mae (Kelley) Ball. She had four siblings: Rosemary Ball, Debra Ball, Elbie Ball, Jr. and Sandra Ball. Brenda proudly worked for Harrisonville School District for over 10 years. A few of her other jobs included working at a local bank, Pride Cleaners and the Archie Daycare. Brenda enjoyed caring for children, cooking, singing, dancing, acting silly, spending time with family and helping others in need. Brenda also loved traveling, especially being in the mountains. Brenda met Bryan Cameron from living only two doors down from each other on Montgall Avenue in Kansas City, MO. They began dating in 1987 after years of knowing each other. Their first daughter Tamera Renee Cameron was welcomed into the world not too long after. On July 17, 1999, they tied the knot and soon gave birth to their second daughter Kelly Rose Cameron. Brenda was preceded in death by her sister Rosemary Ball, nephew Shawn Trask, son Christopher Cameron, grandmother Pauline Wardrip, grandmother Bessie Ball, grandfather Marvin Kelley and grandfather Willie Collins. Survivors include her husband Bryan Scott Cameron, parents Rosella Ball and Elbie Ball, daughters Tamera Renee Main and Kelly Rose Cameron, sons Scott Cameron and Chris Main, and grandchildren Ember and Christopher Main, Jr.
Visitation 12PM, service 1PM, Tuesday, April 2 at Park Lawn, 8251 Hillcrest Rd. ; burial in Green Lawn Cemetery. Brenda, I will remember your beautiful soul and your smile. I'm lucky to have met you had you in my life. You made my life better by having you in it. You became my friend and my family. I will always treasure my wonderful memories that we shared. Thank you for sharing your family with us and becoming part of our family. RIP my friend. Brenda life on earth is not going to be the same without your smiling face and your silly comments and the funny things you did. I'm sure going to miss you. Kelly, we are so sorry for your loss. Our heartfelt condolences to you & your family.